We told you last week that Cakewalk is preparing to unleash its Z3TA+ 2 synth, and you now have the chance to get a taste of what it can do. A new video features footage and sound of the synth being used, and reveals that it offers new waveshaping and filter types, enhanced effects control, a graphical arpeggiator and drag 'n' drop effects routing. 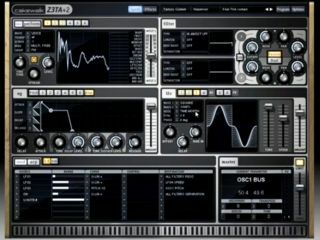 Cakewalk has also revealed that there will be 'hundreds' of new sounds and backwards compatibility with the original Z3TA+. Pricing and formats have still to be confirmed - Z3TA+ 2 should be available this month.